Learn All About Google Keep with this Google Keep Cheat Sheet! Google Keep is a web-based application that allows you to create and share notes, lists, and reminders. You can also add images, voice notes, drawings and more! Each note resembles an online sticky note that can be customized and shared. This robust tool can be used by teachers and students to manage projects, set goals, communicate and collaborate. I love to think of all of the possibilities that Google Keep creates for the classroom. Google Keep is now officially a part of G Suite for Education and integrates sweetly with Google Docs. I have even started a Google Keep Pinterest Board to curate all of the awesome resources. What’s in the Google Keep Cheat Sheet? If you are a subscriber to Shake Up Learning, you can get this 9 page PDF download for FREE. Simply enter your email in the form below. Already a subscriber? No worries, this isn’t adding you to anything new, but entering your email will give you free access. I’m going a little Google Keep crazy! Look for more resources coming soon on the blog and the Google Keep Resource page. 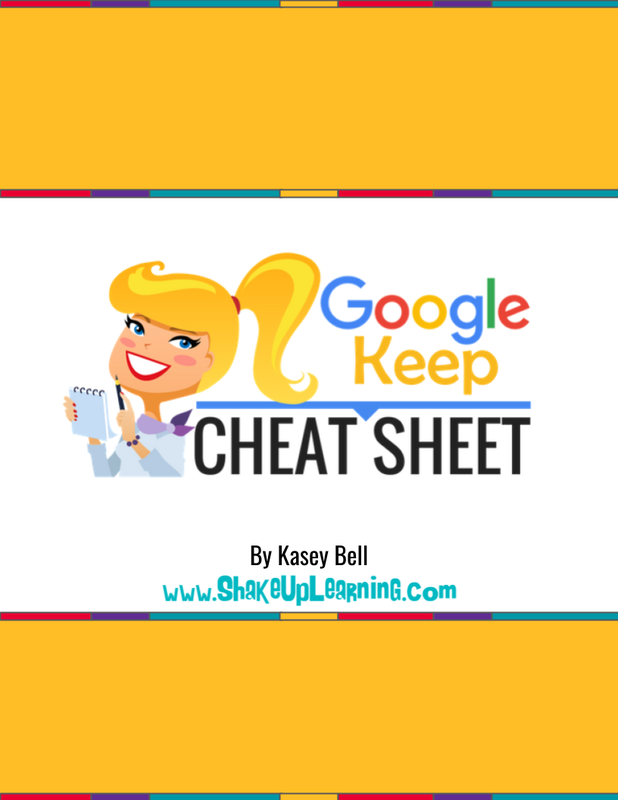 I have a brand new Google Keep Cheat Sheet for Teachers and Students! Use this cheat sheet to find all of the awesome features of this amazing digital tool.